About: The Bay Area Council is a business-sponsored, public policy advocacy organization for the nine-county Bay Area. The Council proactively advocates for a strong economy, a vital business environment, and a better quality of life for everyone who lives there. About: The EBEDA is the regional voice and networking resource for strengthening the economy, building the workforce and enhancing the quality of life in the East Bay. About: As the local voice for the county's businesses, the Chamber advocates on issues that drive economic vitality, provides information, ideas, and resources that help businesses navigate a competitive environment, and creates opportunities for business people to connect and forge relationships that strengthen their businesses and careers. 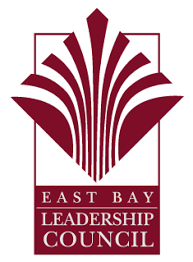 About: The EBLC is an employer-led public policy advocacy organization focused on economic vitality and quality of life in the East Bay. About: The Greater Sacramento Economic Council is the catalyst for innovative growth strategies in the Capital Region of California. The organization spearheads community-led direction to retain, attract, grow and scale new businesses, develop advanced industries and create jobs and investment throughout a six-county region. Greater Sacramento represents a collaboration between local and state governments, market leaders, influencers, and stakeholders, with the sole mission of driving economic growth. The Sacramento Region was founded on discovery, built on leadership, and fueled by innovation. About: The Inland Empire is the region of Southern California comprised of San Bernardino and Riverside counties, located immediately east of the Los Angeles area. The IEEP is the region’s only economic development organization. We support efforts in job creation, leadership infrastructure, and regional advocacy for Riverside and San Bernardino Counties. About: The Los Angeles Area Chamber of Commerce champions economic prosperity and quality of life for the Los Angeles region by being the voice of business, promoting collaboration and helping members grow. About: The LAEDC helps increase economic opportunity, regional prosperity, and fosters jobs of the future for LA County residents. About: The MBEP was founded in 2015 to create a thriving region with quality jobs, excellent education and health care, and a high quality of life for all residents while preserving the natural beauty and healthy lifestyle. About: The NBLC is an employer-led public policy advocacy organization committed to providing leadership in ways to make the North Bay sustainable, prosperous and innovative. About: The OMCC aims to assist local businesses in prosperity and to make the Oakland and the metropolitan area a better place to live. About: Orange County Business Council is the leading voice of business regionally, nationally and globally. The organization works to enhance Orange County’s economic development and prosperity to preserve a high quality of life. For more than 125 years, OCBC and its predecessor organizations have promoted economic development and served as the voice of business in America’s sixth largest county. Orange County is one of the most desirable places in the world to live, work, raise families and enjoy an excellent quality of life. OCBC serves pro-business interests so that the region’s vibrant economy continues to expand, bringing the benefits of prosperity to every corner of the county. About: The SDRCC is the hub for connections and collaboration for the business community, and fights for its members and all the region’s businesses by supporting pro-business policies and candidates. About: The San Francisco Chamber of Commerce attracts, supports, and grows business through advocacy, economic development, and business development. About: Economic development corporation covering eastern Los Angeles County dedicated to improving the quality of life and economic vitality of the San Gabriel Valley. About: The Chamber responds to the diverse needs of the business community in a myriad of ways. For their members, they focus on creating new business opportunities, connections, and growth. In the community, they are proponents of business in every arena, including political advocacy and action. The result is a multifaceted approach that produces targeted, impactful solutions. About: The SVLG is a public policy trade association that strives to improve the quality of life for those in Silicon Valley. About: The Leadership Council unites business and community leaders from throughout the seven-county region into one effective leadership organization whose membership includes three two former California Governors and two three dozen Presidents and CEO’s of top Southern California companies. About: The SVO is a coalition of +1,400 large, medium and small businesses whose mission is to create a great place to live, work and play.